There are many types of vegetables that you can plant in a backyard garden. One type of vegetable you may want to plant to have as an ingredient when cooking is fresh broccoli. There are a few tips to learn if you want to grow big broccoli heads in your garden. The process to grow big broccoli heads in a garden will not be difficult. You simply need to use various tips to see a successful crop when it is ready to harvest. If you are already taking time to prepare the soil in your backyard to grow broccoli, then applying these few tips will be beneficial when planting crops. 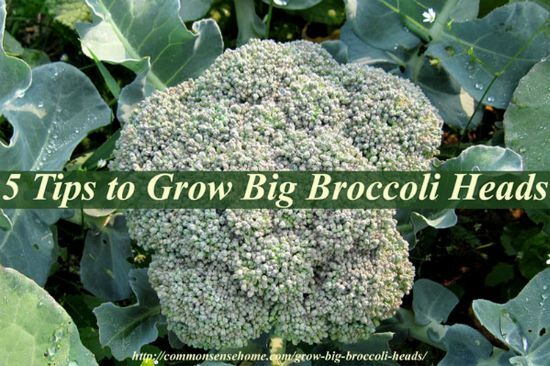 Many of the tips that are used to grow big broccoli heads can easily be applied to other crops. You may want to see how a broccoli crop grows and look at harvest to know if the tips you use are successful.